The Pittsburgh Pirates have acquired right-handed reliever Ernesto Frieri from the Los Angeles Angels in exchange for right-handed reliever Jason Grilli, the teams have announced. The deal is known as a "change of scenery" type of trade, as both pitchers have shown brilliance during their careers, but have had a bad season. Grilli had been moved out of the closers position just eight days ago. Frieri was still manning the Angels closing spot, but poorly. A one-for-one deal means that both teams feel Grilli and Frieri can rejuvenate their careers in Los Angeles and Pittsburgh, respectively. 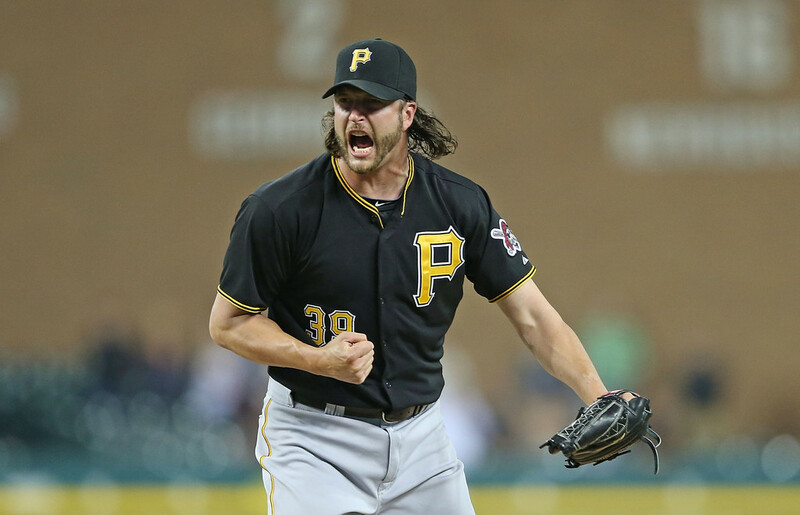 On the season, Grilli had posted an 0-2 record with a 4.87 ERA and a 5.36 FIP (Fielding Independent Pitching). The high FIP means that Grilli's ERA was actually helped by his defense and that he was having trouble striking guys out and avoiding walks. The 37-year-old saved 11 games in 15 opportunities, posting two more blown saves than he did in all of 2013. Frieri, who's headed to the Pirates, was not much better than Grilli. He posted an 0-3 record with a 6.39 ERA and a 4.97 FIP. While his FIP is lower than his ERA, meaning that Frieri was somewhat unlucky, his season has not been a good one overall. His career FIP is 3.62. The 28-year-old saved 11 games in 14 opportunities, good for a 79% success rate. The Angels will be receiving a 37-year-old Grilli while the Pirates get a 28-year-old Frieri. This can tell us that the Angels truly think they can contend this season, taking a player who is nine years older than the player they gave up in order to gain an edge. The really only difference between the pitchers is that Frieri still is under contract through 2016, with arbitration due for both seasons. Grilli is owed $4.25 million this year and will be a free agent at the end of the season. Jason Grilli has more experience than Ernesto Frieri, which is why the Angels want him, even considering the fact that he will be a free agent at the end of the season. Grilli saved 33 games just a year ago, including appearing in four postseason games with the Pirates. Frieri has no postseason experience. If the Angels can make a run, it is now obvious that they would rather have Grilli as closer over Frieri. It will be interesting to see how the Pirates will utilize Frieri. Mark Melancon, who stepped in for Grilli, has saved 14 games, posting a 2.35 ERA and a 2.34 FIP. He has done a good job. It would be hard to see the Pirates immediately remove him from that spot, considering he has done well. That will be something to watch for in Pittsburgh. As for now, the change of scenery deal might be able to rejuvenate two careers. It is a fair deal -- the Angels gain experience and the Pirates gain longevity. It does not come down to much more than that. What a roller coaster ride it has been for Tim Lincecum. Just three years ago, in 2011, Lincecum was one of the best, if not the best, pitchers in all of the major leagues. At age 27, Lincecum had netted two Cy Young awards and been to four All Star games. He could not have fallen the mountain off any faster than he did. Lincecum had a 5.18 ERA in 2012. He lost 15 games, most in the National League. Lincecum went from the Giants ace to being a below average starting pitcher. While he showed dominance at times, Lincecum was not the same dominant pitcher he once was. He has improved, but not by much. Lincecum posted a 4.37 ERA in 2013, but was dominant for one night, no-hitting the San Diego Padres. But he wasn't done. Lincecum decided to no-hit the San Diego Padres again this year, throwing the nine, nearly perfect frames this afternoon. He wasn't overpowering by any means. But he worked the count, changed speeds, and got ahead in the count all night. He only stuck out six, but his great command only allowed one walk, to Chase Headley, with one out in the top of the second inning. After that, Lincecum retired the final 23 hitters in order, clinching the no-hitter. Just for one night, Lincecum gets to be the king of the hill. He gets to have his moment, do his thing, and clinch the no-hitter. It was definitely one special afternoon for the 30-year-old. Lincecum becomes the second pitcher in major league history with two no-hitters against the same team, joining Hall of Famer Addie Joss. He joins Christy Mathewson as the only Giants pitchers to throw two no-hitters. And he becomes the fourth active pitcher with two no-hitters, joining Homer Bailey, Mark Buehrle, and Justin Verlander. Lincecum becomes the 22nd pitcher in MLB history with more than one no-hitters. Since 1968, the Oakland Athletics have been playing in one place. While that place has had many different names, the Athletics have been a part of the history of Oakland for a long time. While 46 years is a long time in one city and one ballpark, it will continue for years to come. The Athletics and the Oakland-Alameda County Coliseum have agreed upon a ten-year lease agreement, Athletics owner Lew Wolff said today, keeping the Athletics in the ballpark through the 2025 season. The deal is subject to the approval of the Joint Powers Authority, which will vote on Friday. The city of Oakland and Alameda County Board of Supervisors also have to approve the deal. The Athletics have wanted a new stadium for quite some time. However, the San Francisco Giants' territory runs through San Jose and Silicon Valley, a pinpointed location for a new ballpark. In his statement, MLB Commissioner Bud Selig did not address that issue, but does feel that the Coliseum is the best way to go. "I continue to believe that the Athletics need a new facility and am fully supportive of the club's view that the best site in Oakland is the Coliseum site," Selig said. The Coliseum has had its share of issues over the past few years. It has had multiple sewage issues, including a power outage lights affecting the outfield lights against the New York Yankees on June 14. The Athletics have been pushing toward a new facility. One proposed site for the Athletics' new home is near Oakland's popular Jack London Square. However, MLB rejected the option. Selig commented on the proposed move in his statement. "Contrary to what some have suggested, the committee that has studied this issue did not determine that the Howard Terminal site was the best location for a new facility in Oakland." The Athletics attendance has reflected poorly against their play. They have the best record in the major leagues, but have the 24th highest attendance, averaging just 23,462 fans per game. The Coliseum is the only stadium left in America that has both an NFL and an MLB team. It holds the Athletics, and the Oakland Raiders. The overused park has been an issue for some time, something both teams want to remove. The Raiders have been planing to build a new stadium as well. The Athletics are staying at home. The 46 years the Athletics have spent at the Oakland Coliseum will continue to grow. While it may not be the most enjoyable for the fan, the Coliseum has seen some great moments in A's history, and will for at least ten more seasons. The San Diego Padres are 32-44. They sit in fourth place in the National League West, 13.5 games behind the leading San Francisco Giants. Ken Rosenthal of FOX Sports wrote that Padres general manager Josh Byrnes was on the hot seat, as a source told him that his relationship with the team deteriorated. The team relieved Byrnes of his duties as executive vice president and general manager today. Senior vice president of baseball operations Omar Minaya and assistant general managers AJ Hinch and Fred Uhlman Jr. will take the job on an interim basis. Not many people would have thought Josh Byrnes as the first general manager to go this season. In fact, Diamondbacks general manager Kevin Towers, is on San Diego's radar, according to Bob Nightengale of USA Today. Towers is under contract with the Diamondbacks through 2016, but he could be fired as well. The Diamondbacks have been unimpressive to begin the season, going 32-47. Brynes was hired by the Padres back in 2010 as Vice President of Baseball Operations and was promoted to general manager in October of 2011. Since taking the helm as general manager, the Padres have not had a winning season. They finished 76-86 in both 2012 and 2013, and now are on pace for 68 wins, their worst total since 2008, when they went 63-99. They have scored the fewest runs in the majors. Just as the teams should be getting better, they are floundering. You could tell from the beginning of the game that Clayton Kershaw was on fire yesterday. In the first six innings, Kershaw stuck out ten batters, allowing no hits or no walks. He was on pace for a perfect game. The Rockies just could not touch Kershaw; he struck out five guys in their lineup more than one time on Wednesday night. Something special was definitely brewing at Dodgers Stadium last night. In the top of the seventh inning, the Rockies got to Kershaw. Corey Dickerson hit a chopping ground ball to Hanley Ramirez at shortstop, who fielded it cleanly. However, Ramirez's throw went wide of Adrian Gonzalez at first base, allowing Dickerson to get to second. Had Ramirez not thrown that ball away, Kershaw would have thrown a perfect game. Kershaw, like any good pitcher, went unfazed. Following Ramirez's error, Kershaw promptly stuck out Brandon Barnes. Then, Troy Tulowitzki grounded out to third, allowing Dickerson to move up to third. However, the inning would end with him there, as Kershaw struck out Wilin Rosario looking to end the inning, ending the Rockies one and only threat. After two more perfect innings, Kershaw had done it. He finished off the game with a strikeout (what else) of (you guessed it) Corey Dickerson. He had thrown a no-hitter, pitching nine innings, allowing no runs, no hits, with 15 strikeouts. Kershaw's no-walk, no-hitter puts him in small company. Only 11 pitchers have thrown a nine-inning no hitter allowing one or more baserunners. The last to do it was Giants pitcher Jonathan Sanchez against the San Diego Padres on July 10, 2009. Kershaw has thrown the second Dodgers' no-hitter this season. Josh Beckett threw the first one on May 25 against the Phillies. 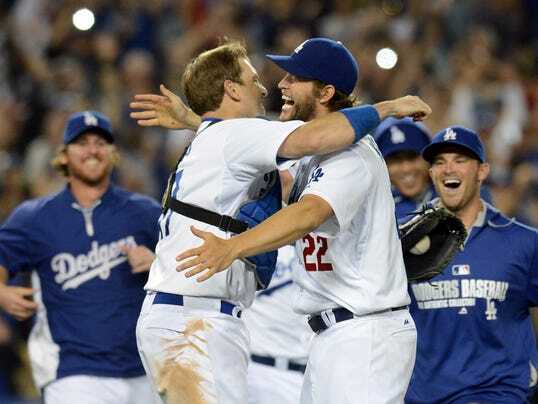 "Beckett told me he was going to teach me how to do that," Kershaw said. The Dodgers beat the Rockies 8-0 last night, but it really was Kershaw's night. "I'll remember this for the rest of my life," he said.